The Daily Hive Toronto notes that Toronto is definitely seeing more snow than normal this winter. Urban Toronto notes that different levels of government are seeking public input into what to do with Ontario Place. Richard Longley writes at NOW Toronto about the history and heritage of the now-demolish Davisville Public School. This Canadian Architect article is an interview with architect Karim Khalifa, involved with Sidewalk Labs. CBC reports on the many factors leading to unchecked fare evasion on the TTC. Ryan Porter writes for the Canadian Press about how the booming Toronto film and television industry is facing a lack of studio space. Edward Keenan writes at the Toronto Star about how increased property taxes are a perfectly workable solution to the revenue problems of Toronto. Netflix is opening up a new production hub in Toronto, creating as many as two thousand extra jobs. CBC reports. The inquiry into a policeman charged with unfairly dismissing a 2016 report of an attempted choking by Bruce McArthur continues. The National Post reports. Is there a possibility that Downsview Park might undergo a renaissance as a hub of aerospace industry? CBC reports. 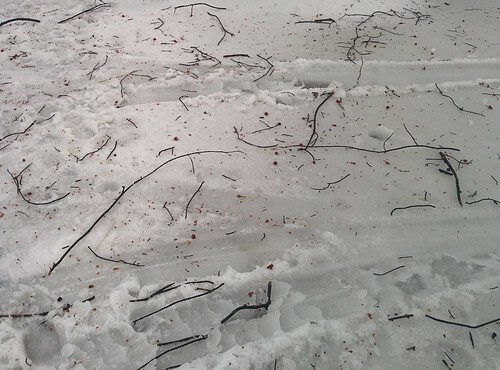 CBC Toronto reports on this year's iteration of Winter Stations, this one based around the theme of migration. Freezing rain is expected for Wednesday night, contributing to a winter that so far as been quite full of precipitation of all kinds. CBC reports. Yesterday saw record-breaking snowfall in Toronto, with more than 25 centimetres of snow, and today saw cold. CityNews reports. That Bruce McArthur has pled guilty to the eight charges of first-degree murder against him, avoiding a trial, is a minor blessing. CBC reports. The homeless people living under the Gardiner are apparently not facing imminent risk of eviction from their encampment. The Toronto Star reports. blogTO shares this map showing home and condo prices near each of the stops of the TTC. Ricardo Tranjan at NOW Toronto makes a point that, especially after the costly privatization of Highway 407, any transformation of the TTC must need to be approved by the people of Toronto. 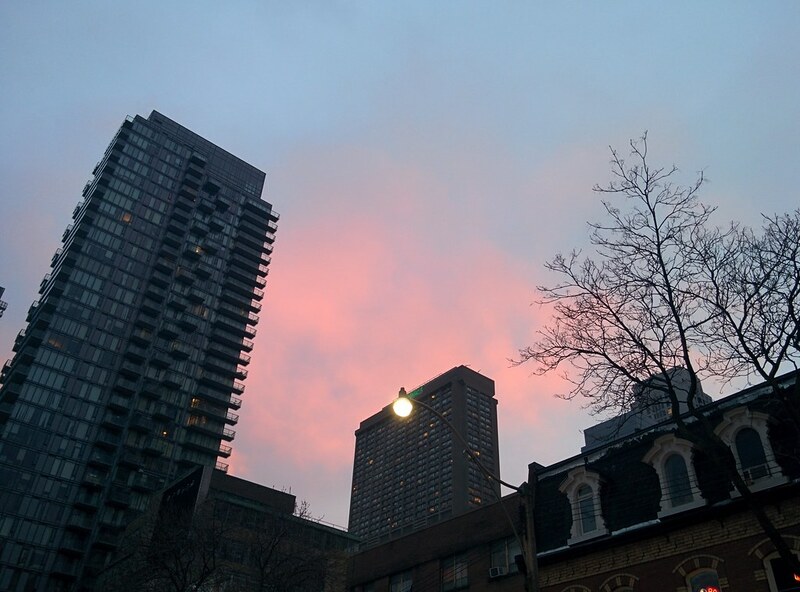 Toronto has been intensely cold this weekend past, continuing today. 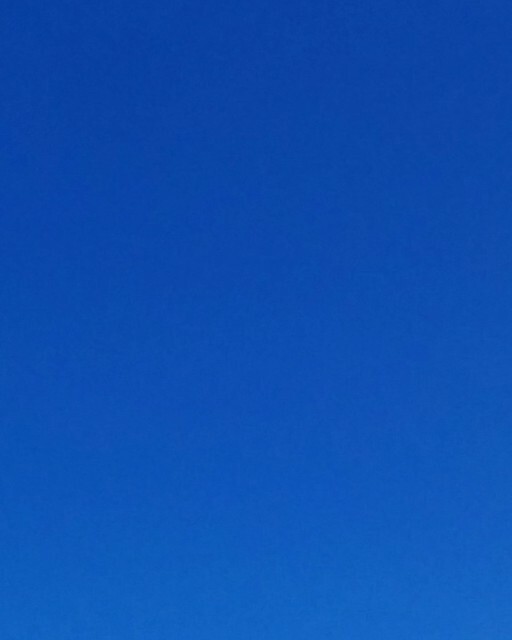 I can say, from my fortunate position, that it has at least been beautiful, bright blue skies and clean white snow. CBC reports. 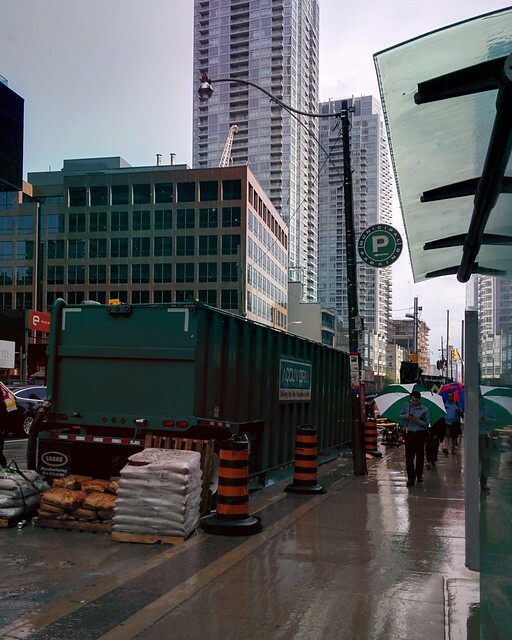 Transit Toronto examines the press reports about plans for accelerating Downtown Relief Line construction. 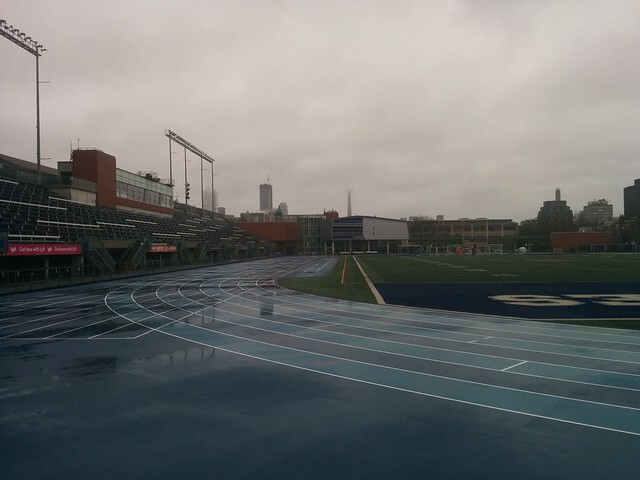 CBC Toronto reports on how parents in Regent Park find local community rec programs are being overwhelmed by non-residents, people from other neighbourhoods. Aparita Bhandari at The Discourse writes about problems with the Scarborough Health Network. CBC interviews TTC users in Scarborough to see what they would want from the TTC. Do they even want a subway, and why? Jennifer Pagliaro at the Toronto Star seems skeptical of the idea that land sales above the Scarborough subway extension could provide a substantial contribution to funding, given construction patterns and land prices. Vice's Motherboard reports on how we do not understand the storms of the Anthropocene era, fueled by climate change. Vice suggests that the very sharp and continuing fall in the price of solar power might well allow the Earth to escape ecological ruin, by providing energy alternatives. The Guardian reports on the prediction of Stephen Hawking that technological advances will lead to the emergence of a race of superhumans that might well destroy--at least, outcompete--traditional humanity. Over at Tor, James Nicoll recently contributed an essay arguing that technological challenges and the lack of incentive mean that the human colonization of space is not going to happen for a good while yet. Universe Today highlights a new paper suggesting that panspermia unaided by intelligence can work on a galactic scale, even across potentially intergalactic distances. 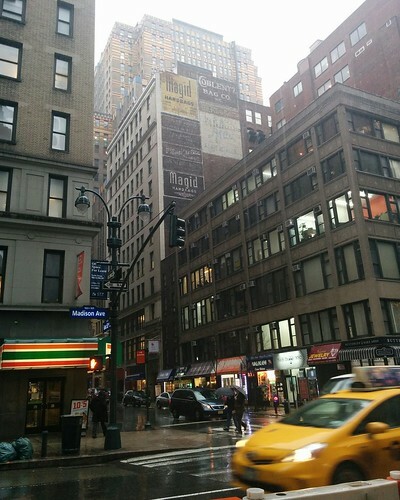 The strength of this early evening's rain in the ambient environment of bright light lent a weird hyperrealism to the scene as I left work today, a certain quality to the light that I have usually seen only in photoshopped images. 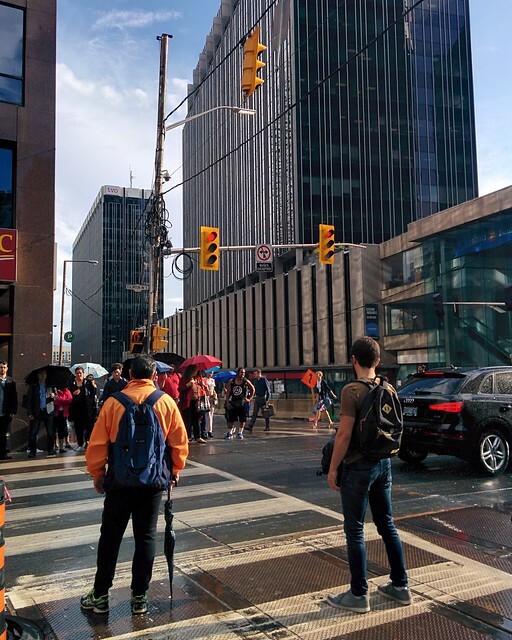 Matt Elliott at CBC Toronto asks what, exactly, the City of Toronto is doing to prepare for the increasingly erratic and dangerous weather hitting the city. NOW Toronto reports on how Jodie Emery plans to start expanding her marijuana empire, and her wider influence, after opening a new café in Kensington Market. This NOW Toronto article reporting on some of the restaurants of Little Jamaica, along Eglinton Avenue West, is informative. I honestly have to say that I have taken note of Three Points Make Two Lines, down at Vaughan Road and St. Clair Avenue West. I will. Murray Whyte at the Toronto Star makes the case. Suresh Doss describes the Mnandi pies sold by Evis Chirowamhangu at Wychwood Barns. Bon Appetit has a mostly accurate listing of things to do and places to see and eat on Prince Edward Island. The warm dry summer means that Prince Edward Island faces a serious potato shortage with economic consequences. Global News reports. CBC Prince Edward Island notes that, according to Environment Canada, what counts as a heat warning on the Island might not be such in Toronto. Local conditions matter. A federal government probe has been opened up into immigration practices on the Island, as it is alleged that some immigrants connived with some motel owners to provide fake addresses. The National Post tells the story. The Guardian notes that senior citizens on the Island, with fixed incomes, are hit hard by the shortages of affordable rental housing. This older report notes Statistics Canada data suggesting that, of all the major cities in Canada, Montréal is the most trilingual. The Toronto Star has it. This paper/u> in Medicine Anthropology Theory by Gabriel Girard takes a look at how the HIV/AIDS epidemic is memorialized, and where, in Montréal's Village gay. Ici Radio-Canada reports on how Montréal is hoping to use green spaces old and new to fight warming temperatures. Movie-making in Montréal offers benefits but also drawbacks for local film and theatre. CTV News reports. CultMTL shares some photos of the fashion worn by Osheaga attendees this weekend past. I think I may have seen some of them went I went exploring after the remnants of Expo 67 on Ile Sainte-Hélène. 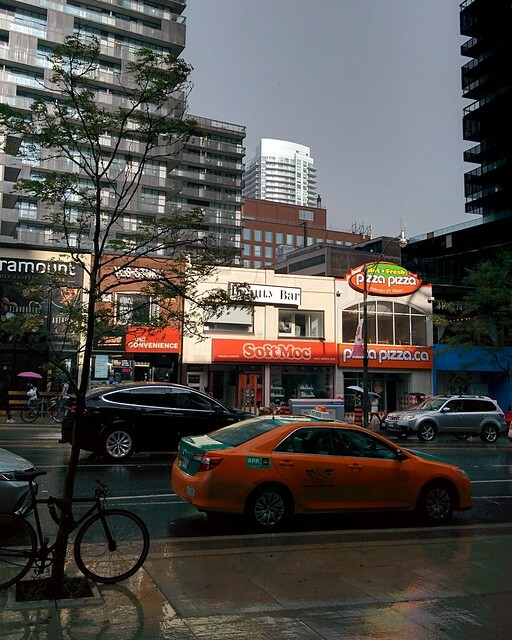 The rain hit very suddenly last night, not long after 9:20--I took this photo, having successfully hid from the torrents on the 29 Dufferin northbound, just before 9:30. My home is only a block east from the intersection of Dufferin and Dupont, minutes away, but I was drenched in that time. 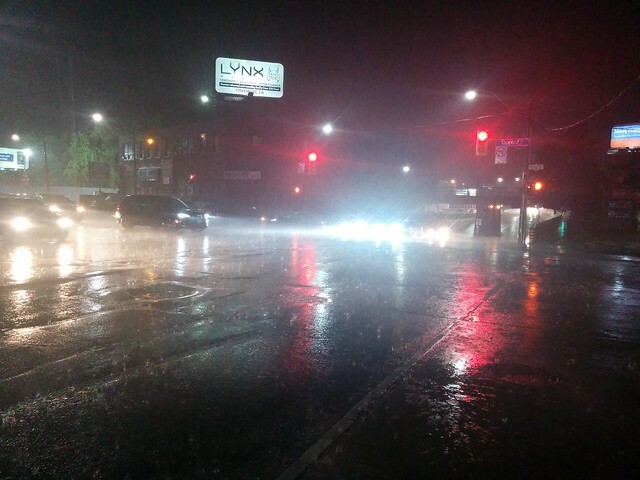 The rain has continued overnight and even into the morning, contributing to flash floods in parts of the city. The scale of the heat wave in Montréal this weekend is not to be underestimated. CBC reports. Montréal, like so many other cities and regions, now has coyotes. CBC reports. Archeologists working at Peel and Sherbourne, in downtown Montréal, are continuing to recover remains of what may be an Iroquois village. CTV reports. Jérome Delgado at Le Devoir takes a look at the Mies van der Rohe-designed service station on Ile-des-Soeurs. This Martin Patriquin column in the Montreal Gazette praising Doug Ford for his reduction in Toronto city council's size, arguing this kind of reduction is needed on the island of Montreal, made me raise my eyebrows. The Guardian reports that the unseasonable heat wave on the Island is set to last for the rest of the week. The Guardian notes that Island farmers need more rain if this year's crops are not to be stunted. Sara Fraser at CBC PEI reports on some of the events ongoing at community museums on the Island this summer. The Town of Montague is looking for new funding for the community's venerable Garden of the Gulf Museum. The Guardian reports. CBC PEI reports on the intensity of the heat wave hitting PEI. Frankly, Ontario-like temperatures on the Island were always rare in the past. A bid by indigenous groups on PEI to lay claim to the Mill River golf course on treaty grounds has been dismissed in court. Global News has it. The sheer volume of props accumulated over time by the Confederation Centre of the Arts theatre is noteworthy, if perhaps unsurprising. CBC reports. A black character, Sebastian Lacroix, is being introduced to the new Anne of Green Gables TV show. This is good: Anyone who read Black Islanders by Hornby must know about the black community in Charlottetown's The Bog that, until now, was hidden. Global News reports. Julie Payette reports that the Confederation Bridge linking the Island to the mainland is, in fact, visible from the International Space Station. CBC has it. 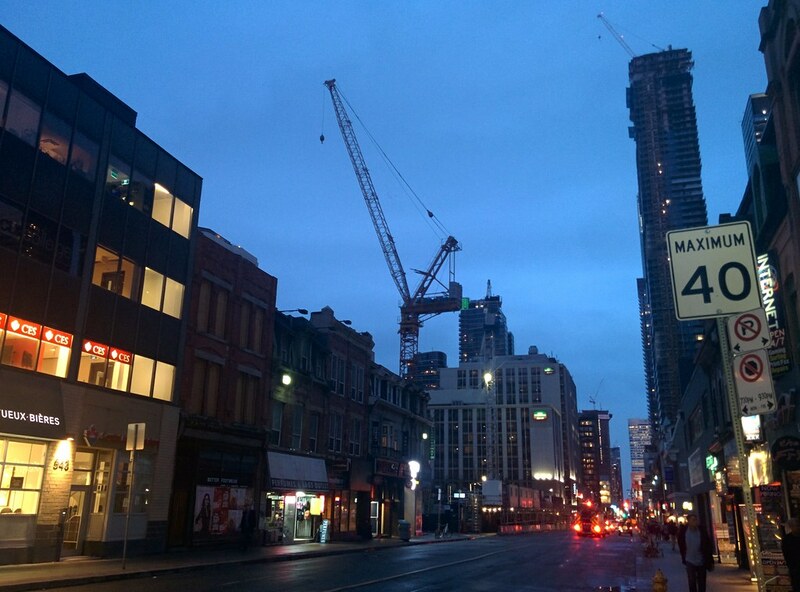 On the evening of Thursday the 3rd of May, as I walked down Yonge Street I saw the evening sky shading to twilight in all kinds of gorgeous shades. 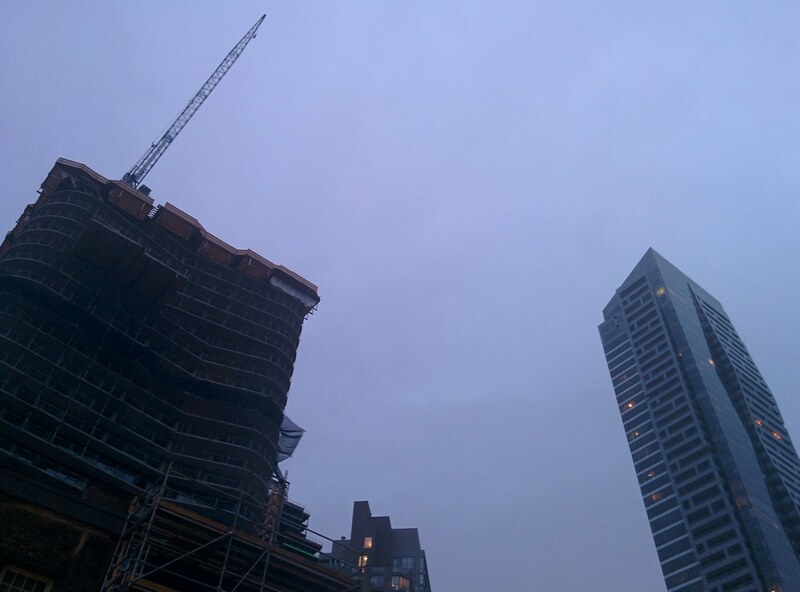 It was starting to come down heavily on the afternoon of the 13th of January in Midtown Manhattan. 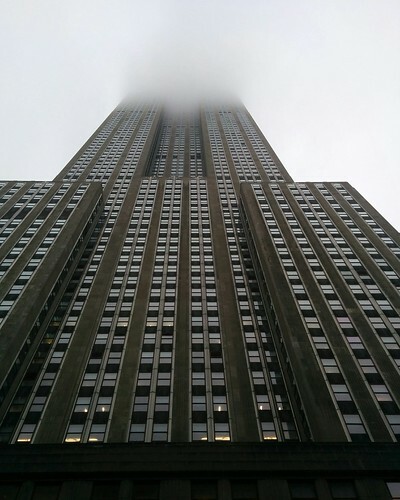 On the afternoon of Friday the 12th of January, 2018, anyone looking up at the top of the Empire State Building from a street-level position on West 34th Street just to its north would have seen the upper levels disappear into fog. 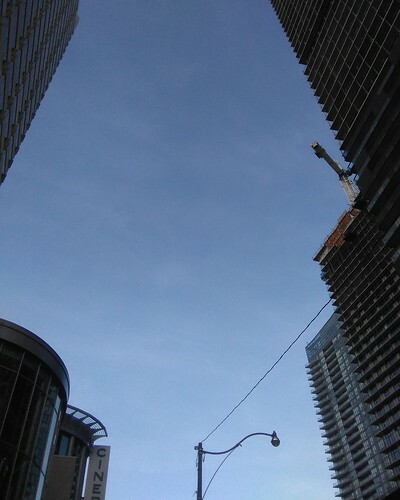 The afternoon sky looking up Yonge Street at Eglinton Saturday afternoon was a glorious clear blue, perfectly framed by the towers rising on either side.